These 5 important tips could save your life if you deal with food allergies. Food allergies are triggered whenever the human body has an exaggerated response to food. It’s one of the most controversial types of allergies, because a cure has yet to be developed. Instead, doctors and scientists who have studied this phenomenon have developed means to diagnose it, as well as precautionary measures to avoid it. People who suffer from food allergies should carefully read the labels of the products they buy. Research has revealed that a lot of people allergic to food find labels to be confusing, and thus expose themselves to unnecessary risks. Law regulation have been instituted to make sure that all products have explanatory labels, with specific allergy-related information for their ingredients. 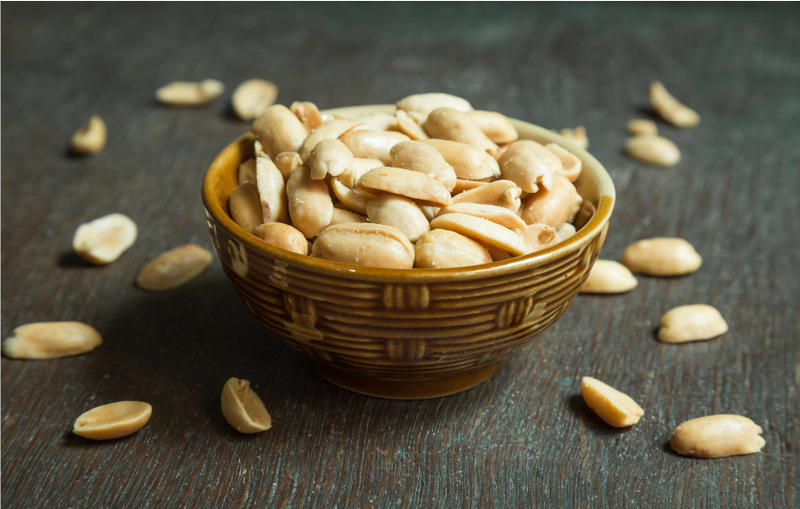 The major food allergens are the following: soybeans, wheat, peanuts, tree nuts, shellfish, fish, eggs, and milk. If a certain product contains any of these foods, or derived proteins, this information has to be specific on the label. The labeling method may vary, but it’s typically one of the following three: the allergen’s name is part of the ingredient’s name (for example, “buttermilk” has “milk”), the allergen is specified after the ingredient (if a product contains flour, the word “wheat” is written right after it), or a list of allergens is included after all the ingredients have been listed. Cross-contact is the allergen transfer that occurs unintentionally from one food to another. This contact can occur directly (for example, wanting to make a hamburger out of a cheeseburger by removing the slices of cheese), or indirectly (when you cut your bread with the same knife used to cut a piece of cheese). There are several ways to avoid cross-contact in a personal kitchen. The first step would be getting rid of all foods that contain allergens known to trigger a food allergy. When cooking, have separate utensils for people who have allergies and people who don’t. It’s also a good idea to cook allergy-safe food first. Organizing the kitchen when cooking both allergic and non-allergic people is important. Food should be separated at all times, but people that avoid sharing their food are also less likely to face cross-contact problems. Every utensil and cooking surface used in the process must be cleaned with a combination of soap and water. Cross-reactivity is a process that takes place when there are similar proteins across different types of food. The body’s immune system will typically recognize the similar protein as being a threat and start reacting accordingly. For example, people that have a shellfish allergy should avoid eating anything that’s part of this food group, as similar proteins could cause an allergic reaction. The cross-reactivity rate varies across common food allergens. There are higher chances for different types of milk to cause cross-reactivity, rather than nuts combines with vegetables. To avoid taking any risks, it’s best to perform a skin test to see if a specific type of food you want to consume will, indeed, trigger an allergic reaction. This is probably the most important tip for people who suffer from food allergies, as it can often save one’s life. When the symptoms of an allergic reaction reach their climax, a person can suffer from an anaphylactic shock, in which case an adrenaline injection is the quickest and best response. Adrenaline is also known as epinephrine, and it is administered in the form of an injection. A single shot of adrenaline can help reduce blood pressure, regulated breathing, and alleviates throat swelling. Aside from learning how to use an EpiPen themselves, people should also inform those around them on how to react in case they suffer from anaphylaxis. An epi shot should be administered within minutes of identifying the symptoms of a severe allergic reaction. A delay of up 30 minutes (to an hour), could lead to heart failure. People who suffer from food allergies should, in consequence, have epinephrine auto-injector with them at all times. The adrenaline injection is administered in the thigh, and should be done the minute a person's pulse weakens, they have trouble swallowing, find it difficult to breathe, cough excessively, and/or feel abdominal pain, nausea, and the need to vomit. One of the most frustrating things in the life of a person that suffers from food allergies is having to eat out. One of the best recommendations is to stick to a specific restaurant, once you’ve found one with a friendly staff, that understands all your food-related needs. When you go out, make sure you always ask the staff about all the ingredients in a specific plate you’re considering. Tell people about your allergies, but also analyze the confidence in their tone of response. If even in doubt, try to steer clear or any potentially threatening plates, and choose something safe. The goal is to try and avoid any form of cross-contamination or cross-reaction. When receiving your plate, always double-check it and ask your waiter if the food is indeed allergy-friendly. If you ever feel like your needs are not being answered, leave. Don’t consider this impolite, but rather a necessary means to avoid from exposing yourself to a life-threatening situation. Keep in mind that during peak hours, when a restaurant is full, there are higher changes of the staff not paying close attention to your needs. Error is human, after all. And, the most important part of all, is to always be prepared for critical situations. Carry an adrenaline injection at all times and avoid eating out alone as much as possible. The main goal of every person who suffers from food allergies should be avoiding the trigger as much as possible. But, in case an allergen does come in contact with the body, it’s important to recognize the system and know exactly how to act. When a person who suffers from a food allergy is well-informed, they can see the signs of an allergic reaction, and this information could save their life. What is connection between Elimination diet and food challenge test? What are the least allergenic foods promoted by elimination diet? Could tooth pain be due to an allergic reaction? Can you suggest any air cleaning systems? What is the most effective way to prevent a reaction to fragrances?